Are you into the electric guitar? We'll be learning to play Hysteria by the English alternative rock Muse, and it's a rocker, I guarantee it. This song has got it all, and will probably pose a bit of a challenge for most of you, but don't fret (get the intentional misspelling? 😉 ), you'll be advancing your lead guitar skills big-time. This is a mega lesson, where we'll be learning to play all of the parts to the song, including the intro, prechorus, chorus, and 2 solo sections. 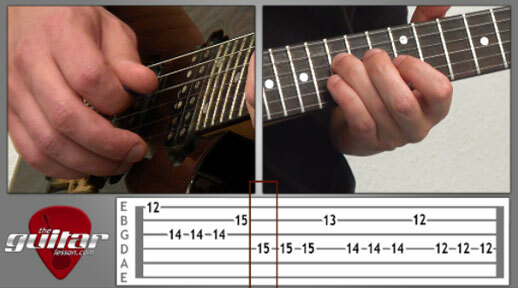 You'll be advancing a barrage of lead guitar techniques, including string bending, octaves, muting, and most of all, alternate plucking. Alternate plucking is a very important skill you'll have to master if you want to become a good guitarist, and this song has it. Lots of it! If you want to become awesome on the electric, make sure you watch our guitar lesson on Hysteria, and also download the tabs to Hysteria from the lesson page, and if you have Guitar Pro, you can download the GP6 file I made for it as well.